Paris & Switzerland are everyone’s favourite especially with the couples. 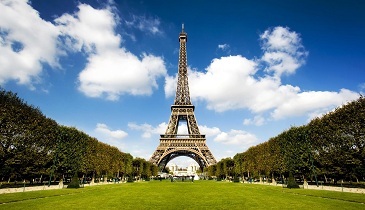 Paris is home to the impeccable Eiffel Tower, a magnet for tourists from all over the world and is a great place to soak in latest fashion and relish great food and wine. While Switzerland is world renowned to be the piece of heaven on earth and a dream for romancers. Both these destinations have an undeniable romantic allure that pulls everyone to it. Take a weeklong vacation to the most beautiful, magical and certainly the most romantic destinations of Europe and explore its captivating architecture, culture, fashion and simply everything that comes your way. You can spend the day in the Disneyland (at an extra cost). The delights of Disneyland charm adults and children alike! There are themed parks with famous Hollywood Disney movie themes, roller coasters and adventure rides, cartoon characters to play with, and such a festive, happy atmosphere that it feels impossible to leave. Disneyland guarantees to make your day filled with fun and laughter. Later return to hotel. After a brilliant breakfast, proceed for Zurich Orientation tour. Visit the busiest street of Zurich- Shopping Street & Boutiques. One of the largest of Swiss cities situated on the northern shore of the lake that bears the same name. Zurich retains much of its 19th century charm even today. After the tour return back to Hotel (by own). 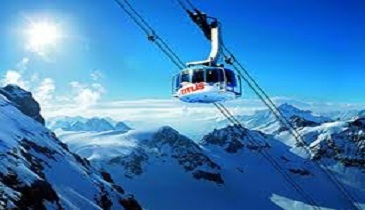 We would recommend for Excursion to Mount Titlis with Ice Flyer, the famous cable cars to reach the top of Mount Titlis, and the fantastic Lucerne City tour (at an extra cost). At 10,000 feet above the sea level, Mount Titlis is the highest peak in Central Switzerland, affording a view which is unmatched by any other peak nearby! We reach the peak by changing three cable cars (ice flyers), with breathtaking views of the majestic Swiss Alps sweeping past us. Once we get to the top, we will get some free time to relax, take in our beautiful surroundings, play with the snow, or relax at the café or visit the Ice Cave. After a brilliant and hearty breakfast, you can explore the beauty of Switzerland at your own pace. You can get wowed by the breathtaking views of this paradise on earth, indulge in some shopping, delight in the culinary masterpieces of Switzerland, walk around to take in the stunning surroundings or ride in the public transport system. You are free to relax and enjoy the city on your own. We suggest you to opt for day trip to Visit Rhine Falls & Black Forest (at an Extra cost). Get ready to visit the hauntingly beautiful Black Forest in Germany. We will visit the Drubba village, the original makers of the famous cuckoo clocks. We can see how these are made, and get a chance to buy them as unique gifts or souvenirs. We will later drive to Rhine Water Falls, Europe’s most powerful water falls! The sheer force and the thundering beauty of these falls will make this a memorable experience. Later in the evening, drive back to Switzerland. Proceed to an Indian restaurant for a delightful dinner, after which we will return to our hotel. Swiss - Paris Wonders Option not available online please contact us for more details.